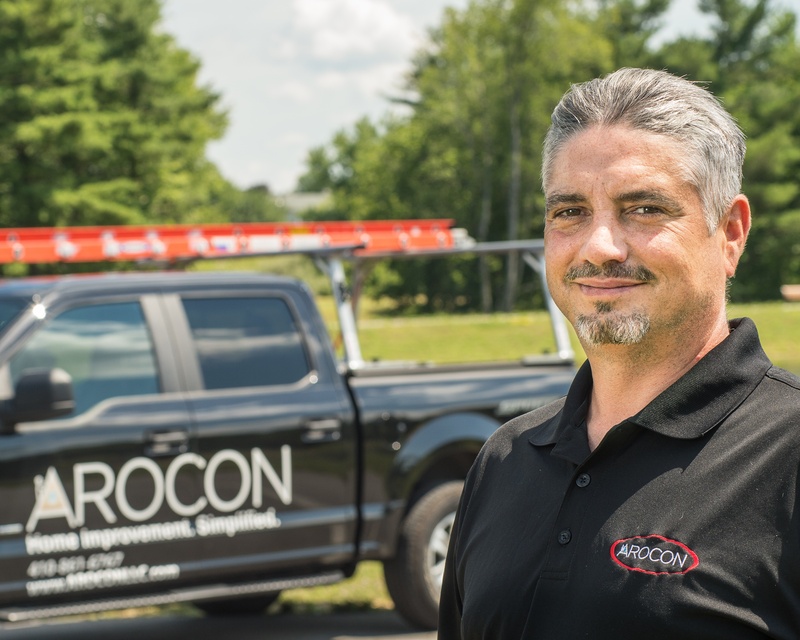 In 2015, Hunter joined AROCON Roofing and Construction as a Roof Technician, and was soon promoted to Field Supervisor because of his decades of roofing experience. Hunter has extensive knowledge about roofing and always puts the customer first. He is passionate about being able to give customers peace of mind and educating them about exactly what's needed on their roof and gutter systems. Hunter continues working at AROCON because he likes that customers always get honest and accurate assessments of their homes from the team. Hunter lives in Frederick Maryland with his wife, and enjoys volunteering at his local park and playing with his adorable dog. I had a $99 guttter cleaning & evaluation. I was happy that Hunter arrived early and cleaned the gutters with such ease. He cleaned up the mess that it created, and was very thorough with the suggestions he made for maintenance moving forward. The whole process was very easy! He showed up early, he explained everything he was going to do and, by golly, he got 'er done! Hunter was great! I would definitely rebook AROCON for all my roofing needs! Excellent Service!!! Hunter was very professional. He came on time and explained everything in detail. Proud Member of Maryland Roofing Association. Central Maryland Service Area: Anne Arundel County, Baltimore County, Carroll County, Frederick County, Harford County, Howard County, Montgomery County, and Prince Georges County. Maryland Eastern Shore Service Area: Dorchester County, Queen Annes County, Talbot County, Wicomico County and Worchester County. Northern Virginia Service Area: Arlington County, Fairfax County, Fauquier County, Loudoun County and Prince William County. © Copyright of AROCON Roofing & Construction LLC. Website Design by InStreamOne.